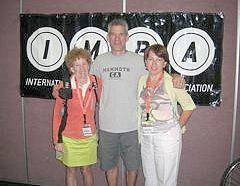 CORBA board members Louisa Bonnie, Hans Keifer and Danusia Taber attended Interbike 2009 in Las Vegas in September. The purpose of their visit was to advocate and represent the interests of mountain bikers in conversations with bike industry representatives and meet with other bicycle advocacy organizations to share information, resources and ideas. The Southern California Gas Company is rebuilding their road in Sullivan Canyon and then reinforcing the high pressure gas pipelines. The work started at the beginning of September and will continue through October or longer. During the work period, the canyon will be completely closed to ensure the safety of the public in a construction area. 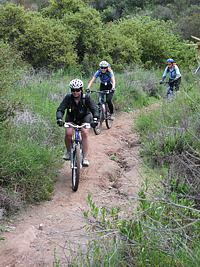 For more information, see the recent Sullivan Canyon Alert on our Trail Issues page. CORBA's Fat Tire Fest 2009 is Here! CORBA's 2009 Fat Tire Fest and Fundraiser is 3 weeks away! 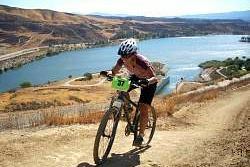 The biggest mountain bike festival in Southern California is celebrating its 22nd year on Sunday October 25th at Castaic Lake State Recreation Area. 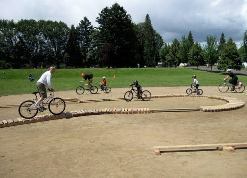 Fun for all ages, the entire family and riders of all skill levels! This year's event is sponsored by REI, Giant , Specialized, Cynergy, WTB, Cannondale and Sette. This year we have the poker rides for all skill levels in Grasshopper Canyon with extra single track for advanced riders and more easy lakeside terrain for beginners! 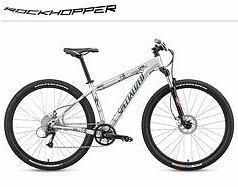 The direction of travel for all bike routes will be counter clockwise for maximum riding fun and downhill thrills! Guided rides for all skill levels will meet in the main staging area. Check the Fat Tire Fest schedule and events description for all details at www.fattirefest.com. 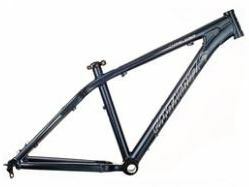 The Fat Tire Fest will feature the hottest new demo bikes from Giant, Specialized, Cannondale, and Trek that you can test ride in Grasshopper Canyon. Plus check out all the great bike gear and accessories from all our other exhibitors and vendors! 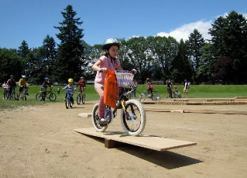 Put your bike handling skills to the test in the Bike Limbo Contest, the Bike Warrior Wheelie Contest , the Cynergy Hill Climb Contest and in the Skills Features area! Learn techniques and bike handling tips from the Skills Clinic with Mark Langton and guest riders from Trek and SoCal Interscholastic Cycling League! All riders welcome! Kids Fun Zone! - Come play all day on the specially designed kid size skills features! Kids Bike Parade! 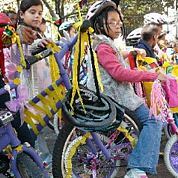 Come decorate your bike and join the parade of the main staging area! Decoration materials provided. WIN! WIN! WIN! Great prizes such as these in the giant raffle! Come out and join a fun-filled day of mountain bike action by picturesque Lake Castaic on Sunday October 25th! Thank you for supporting CORBA's 22nd Annual fundraiser! All proceeds go towards CORBA"s all volunteer community programs and mountain bike trail advocacy in Los Angeles and the surrounding area. For all event details and information go to: www.corbamtb.com or www.fattirefest.com. Contact info: ftf@corbamtb.com or 818-206-8213. Register online until October 20th with PayPal or Active.com; register early and get more free raffle tickets! Or print the PDF Form, fill it out and mail it in! Directions: Meet at Conejo Community Center Park (Google map and directions) in Thousand Oaks. Exit 101 Freeway at Lynn Rd. and head north. Turn right on Gainsborough Rd., then right at the Conejo Valley Botanic Garden sign (just past the 7th Day Adventist Church). We have set up an account with Twitter to help keep people informed of the lastest developments in our trail advocacy, the Fat Tire Fest, recreational rides and trailwork days. Follow us on Twitter at twitter.com/CORBAmtb. Childhood obesity in the United States has reached an all-time high. Experts say that the current generation of U.S. children could actually have a shorter life expectancy than their parents. 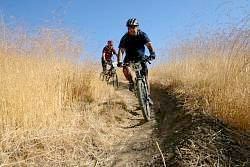 IMBA and CORBA believe mountain biking can help reverse this trend. 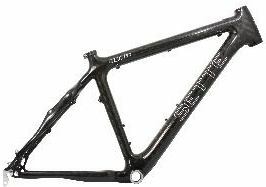 We need your help to get kids back on bikes. Please RSVP to Danusia at danusia@corbamtb.com if you plan on attending. Sin Nombre and Two Foxes trails to remain open. In May 2009, CORBA was told by California Department of Parks and Recreation (CDPR) that two trails in Pt. Mugu State Park – Sin Nombre and Two Foxes, which have been open to mountain bikes as a result of CORBA's efforts years ago – would be closed to bikes because the trails had never been officially opened to them. CORBA representatives met with CDPR rangers at the end of July to discuss this situation. We had gathered historical information supporting our position that the trails had been officially opened and presented it at the meeting. CDPR Superintendent Al Pepito informed us that the trails are multi-use as we contended. The misunderstanding was due to an error in the trail use designation on the maps used in the National Park Service (NPS) Inter-agency Regional Trail Management Plan (TMP). CORBA and others had previously informed the NPS of the error. Due to lack of funding, the planning project had come to a halt, so the maps had not been updated. NPS now has funding and the planning process is moving forward. 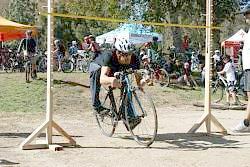 Due to CORBA's efforts, Sin Nombre and Two Foxes will remain open to mountain bikes. As autumn approaches with hot, dry Santa Ana winds, remember to check for park closures before you head for your favorite trail. During the Red Flag conditions, park agencies are asking the public to avoid going into the backcountry. With the fire danger rating fluctuating between high and extremely high it is prudent for recreational users to avoid going into the backcountry for safety reasons. If fires were to start in areas of the backcountry, rescue could be hampered because of poor access to these areas. Also, it could be difficult to notify recreational users who are already in the backcountry of a wildfire that has just started. So as a preventative measure, fire information officers are advising everyone not to head to these remote areas unless it’s absolutely necessary. A new MTB magazine was launched last week. IMBIKEMAG is a free magazine aimed at the regular weekend rider, the first issue is full of articles, videos, tests, technique and interviews. It is available online only. Check out the first issue! California native Bob Roll is a former professional cyclist, turning professional with the 7-Eleven Cycling Team. Later in his career Bobke discovered mountain biking and competed on the professional circuit for 8 years until finally retiring in 1998. While Bobke never claimed to be the fastest cyclist, his unmatched story-telling ability made him a hit with the fans and led him to a spot on television, commentating on professional cycling events, including the Tour de France, throughout the world. Bobke is a larger than life personality, topped only by his own sideburns. To hear him speak of his experiences, whether it be at the Tour de France or in the Applachians of North Carolina on a monsoon-like training ride, Bobke uses his humor, wit and downright outlandish style to capture any audience. Bobke’s attendance at the SoCal League’s CycleFest 2009 will help the League reach it’s fundraising goal of $30,000. The event will feature several internationally known SoCal based cyclists will be in attendance including multi-time world champion Brian Lopes, ultra-endurance champion Pua Sawicki, and Olympian Sid Taberlay. The event will also feature a silent auction and a catered dinner. All proceeds from the tickets sales and the silent auction will go toward supporting the SoCal Interscholastic Cycling League. Tickets are on sale and cost $150. Patron tickets, which include preferred seating and special gifts, are $195. Purchase tickets before October 2nd and pay only $125 for regular or $170 for Patron tickets. For tickets and additional information visit www.socaldirt.org. When you order FRS Healthy Energy products online, as CORBA members you will get a 25% discount when you enter the special coupon code, and CORBA will receive a 5% contribution. Details. California State Parks has announced that it will be holding public meetings to begin the process of preparing a new General Plan to guide future use of Topanga State Park. The purpose for the public process is to develop a cohesive and comprehensive general plan that reconciles the outdated Topanga State Park General Development Plan created in 1977. It will incorporate the cultural and natural resources, features and facilities of recent acquisitions, including the 1,659 acres of Lower Topanga Canyon. What State Parks planners intend to do is create a comprehensive plan that gathers up the disconnected parts and viewpoints, corrects obvious deficiencies, considers evolving land-use relationships, and creates a planning structure that reflects this great park as a whole. 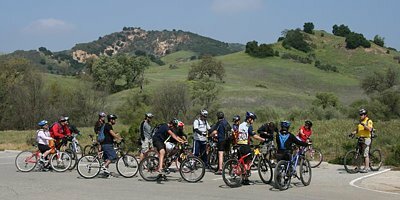 Mountain bikers should go to these meetings and urge that the trails currently closed to bikes be opened, and ask for a connecting singletrack trail to Temescal Canyon Park. Topanga State Park General Plan Meeting #1: The first meeting was held this past Tuesday the 29th. Park Service officials provided a 45 minute presentation describing the General Plan process and an overview of the park’s resources including recreational uses, historical and cultural resources, wildlife and species of concern, archaeological resources and more. Topanga State park is a resource-rich park and one of the original cornerstone parks of the Santa Monica Mountains National Recreational Area. Following the presentations, the crowd of 51 was deployed into four workshop areas where conversation took place and public comments were received by park service officials. At each workshop area, certain questions were presented and participants’ park experiences and suggestions were logged. Things that were suggested by CORBA, for example, were park interpretive tours on mountain bike, as well as more backcountry trail access. The General Plan will be the Park’s road map for the next 20 years. The General Plan process will be combined with the environmental review process required by the California Environmental Quality Act (CEQA). Currently, the Park Service is collecting information regarding inventory of resources and public input regarding issues and wants/needs for the Park. Two more public meetings will be scheduled, followed by the release of the Preliminary General Plan/Draft Environmental Impact Report. This document will be available for public review prior to moving to the final stages of the planning process. We will keep you apprised of the next meetings and issues, but we urge you to get involved and invest some of your time to help shape the future of your local state park. Futher meetings are planned but not yet announced. More details can be found on the Topanga State Park General Plan web page. Saturday October 3rd is the next skills clinic.